U.S. Senator Harry Reid, D-Nev.
Physically injured and in his 75th year, Senate Democratic Leader Harry Reid, D-Nev., has opted against seeking reelection in 2016. Victim of a debilitating self-inflicted injury involving an exercise band, the Congressional titan has not only cleared an unexpected path for a political shakeup in Nevada. He has also touched off a consequential political contrast between Democrats in the Silver State and the Golden State — and Republicans on either side of the state line. With Sen. Barbara Boxer, D-Calif., also retiring, California Democrats face a much different path through 2016 than Nevada Democrats. California Republicans, meanwhile, also face a starkly different path than their Nevada compatriots. For that reason, members of both parties were likely to pay extra attention to events taking place in both states. In California, Democrats have a deep bench and great resilience. Already, they have comfortably handled the impending loss over the next few election cycles of Sen. Boxer and Gov. Jerry Brown. With remarkable efficiency, leading Democrats waiting in the wings have sorted out their ambitions among themselves, preventing potentially divisive and draining primary-season conflicts. While Attorney General Kamala Harris laid swift claim to the race to replace Boxer, her presumptive rivals chose differently. Former L.A. Mayor Antonio Villaraigosa passed on challenging Harris, tacitly reserving the option to instead challenge Lt. Gov. Gavin Newsom, who announced his intention to run in Brown’s wake. Tom Steyer, meanwhile, a billionaire activist and prominent political funder, stepped away entirely from making any kind of campaign commitment of his own. In Nevada, by contrast, Reid’s departure is set to leave a gaping hole. 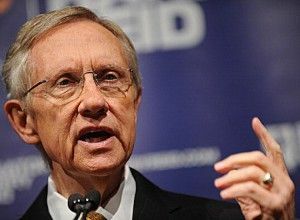 A Democratic candidate with Reid’s stature and popularity, who is capable of stepping into his seat, will not be as readily available. Though Democrats enjoy a substantial bench of potential candidates, Reid’s chosen favorite, former state Attorney General Catherine Cortez Masto, likely will face a challenge from Dina Titus — the state’s lone Congressional Representative — that could upend Nevada Democrats’ complex political pecking order. Nevada Republicans, meanwhile, have still not recovered from Harry Reid’s 2010 victory over Sharron Angle, one of that year’s insurgent Tea Party candidates. State Republicans fretted than Angle’s relative inexperience and uncoached utterances cost her dearly. Many Democrats adopted the same view. In the end, Angle managed to net 45 percent of the vote, but a loss was a loss — one the Nevada GOP do not want to repeat. This time around, with Reid out, the dynamic has changed radically. Once down and out, Nevada Republicans have suddenly found themselves in a position the envy of the California GOP. Golden State Republicans have no equivalent to Gov. Brian Sandoval, who has not announced any move to replace Reid but boasts a formidable base of built-in support. If he runs, Sandoval could establish a model of great interest to the California GOP. Sandoval, seen as an idiosyncratic moderate, could notch a coveted win for centrist Republicans in a blue state. Although relatively unpopular with the national party’s East Coast conservatives, a presumptive victory in the Nevada senate race — during a presidential election year — would put pressure on California Republicans to field similar candidates in the big races coming their way in 2016 and 2018.